Home team games, IL games: April has had it all. After a phenomenal double header with the Georgia Swarm on Apr 2nd, the Atlanta teams were ready for some home turf derby. 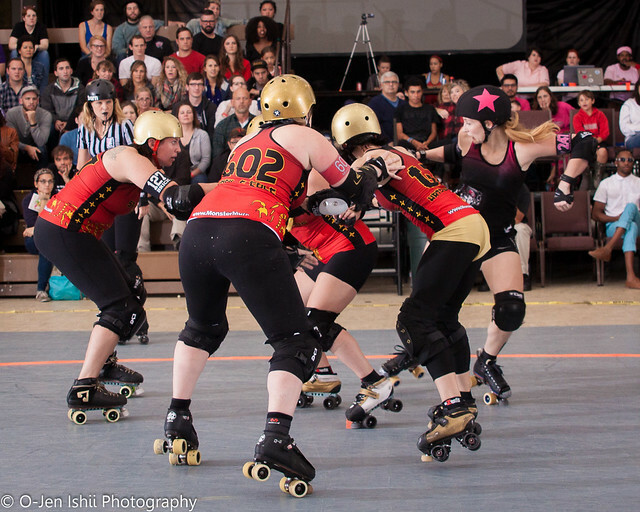 A night of edge-of-your-seat action started with a battle of gold versus pink as the Sake Tuyas took on the Apocalypstix and ended with a healthy reminder of your ATL pride as the Jukes of Hazzard played versus the Chattanooga Rollergirls. The opening game of the ARG April double header began rolling in the Apocalypstix’s favor. Because of a few power-jams and a strong defense, the Stix shot the score up to 46-12 in the first quarter of the game. 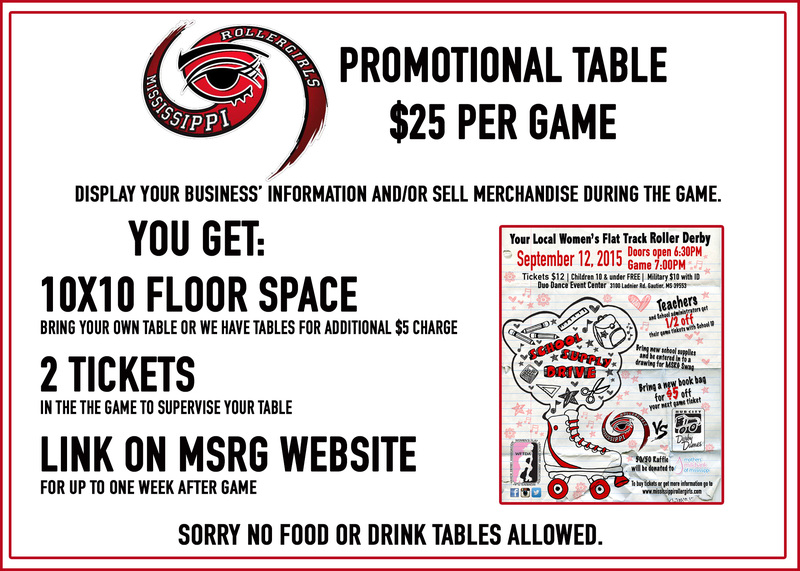 The Sake Tuyas began to put more points on the board, but the Stix’s heavy defensive formations kept the wheels rolling in their favor, ending the first half 96-50 Stix. The second half of the game shifted significantly. The Sakes scored a quick 26 points, and then another 10 points, getting them dangerously close to closing in on the Stix’s lead. Finally, with 21 minutes left in the game, the Merchant of Menace pulled the Sakes ahead for a lead change 114 – 97 Sakes. The Sakes continued rack up points as they held the Stix to a relatively low amount of scoring runs. With five minutes left, it seemed the game was all but over as the Sakes held the Stix at 174 – 131. In a brilliant last effort, the Stix took the reigns and nabbed 52 points, but it wasn’t enough. Sakes win 195 – 183. If you thought the first game was an indication of how intense Atlanta roller derby can be, you were happily proven wrong by the second game. The Jukes of Hazzard came out swinging, taking first lead, putting the first points on the board and creating a dominating lead. 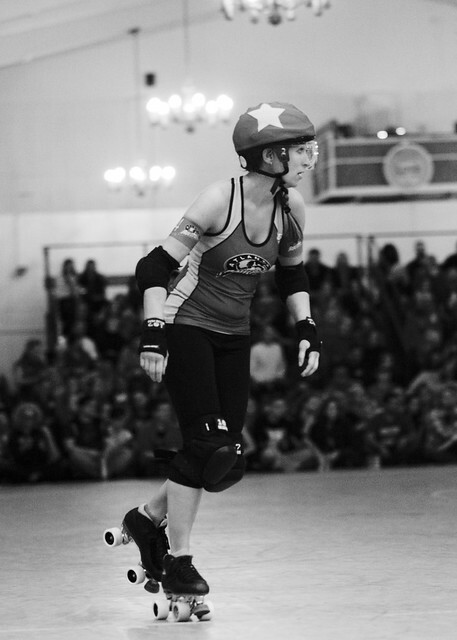 A solid Chattanooga Rollergirls pack sent the Jukes jammer to the box, allowing them to rally and several successive power jams brought them ahead. The rest of the first half was hit for hit and point for point, seeing multiple lead changes, and the Jukes left for the half ahead, 79-75. Ruby Chaos struck hot, yet again, this time at the first whistle of the second half, putting more points on the board for Atlanta, but Chattanooga brought it back a few jams later. Leads traded back and forth for the rest of the second half, keeping the crowd on their toes. Big hits, fantastic recycling and apex jumps were outshone only by the antics of the jeerleaders as the second half came to an end. With Chattanooga ahead and a second remaining in the game, the Jukes’ coach Agent Maulder called a time out, allowing one last jam. Merchant of Menace gained lead, the crowd went nuts, and a Chattanooga jammer’s track cut sealed the deal. Menace made her last lap around the pack, bringing the Jukes ahead, called the jam and secured the win.